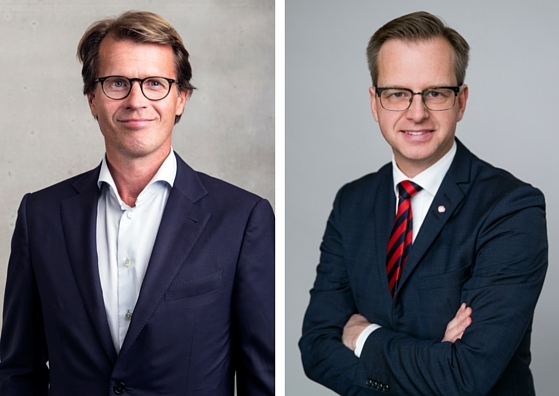 To strengthen existing business relationships and offer new opportunities for cooperation, Swedish Minister for Enterprise and Innovation, Mr. Mikael Damberg, travels to Japan and South Korea on November 25-27 with a business delegation, including Mats Lundquist, CEO of Telenor Connexion. At the end of September, the Swedish government presented its new export strategy, which includes a range of measures to improve Swedish companies’ exports and international opportunities in growth markets. An important part of the export strategy is to increase Sweden’s presence in Asia. Within two months of launching the new export strategy, the minister is on location in Asia with leading Swedish companies to strengthen existing business relationships and offer new opportunities for collaboration. Japan is the world’s third largest economy and Sweden’s second largest export market in Asia after China, while South Korea is Sweden’s fourth largest export market in Asia. In addition to meetings with several ministers and leaders of major Japanese and South Korean companies, the program includes an innovative Information Communication Technology (ICT) seminar on the ‘Internet of Things’. The seminar aims to stimulate discussions and cooperation, at both public and private level, in the field of innovative products and solutions. Telenor Connexion participates alongside customers, Volvo and Scania, and partner Ericsson. According to Business Sweden, the Swedish Trade & Invest Council and organizer of this event, Sweden is seen as a success story and Swedish solutions have a good reputation. TheJapanese ICT market is large and is considered critical in the future Japanese economy. There exist great opportunities for Swedish companies with innovative solutions. In South Korea, Business Sweden has identified opportunities in the following key sectors; manufacturing, cleantech, healthcare and medicine technology, IT/telecoms and others. Many companies are faced with increased international competition and may wonder what they can learn from Sweden in terms of new innovations, business models and international success. “Companies are looking for ways to create new revenue streams and become more cost efficient. The Internet of Things (IoT) provides very good opportunities for this, especially for manufacturing companies that can add a whole new range of services and thus expand its market and competitiveness”, says Mats Lundquist, CEO at Telenor Connexion. According to the IMF World Economic Outlook, Asia’s economy has an expected growth rate of 44%. Telenor Connexion sees Asia as an important market and operates locally to support regional customers and to enable Swedish companies to bring their digital solutions to the region. Telenor Connexion recently appointed Mikael Lindholm as responsible for Asia Pacific. Telenor Connexion is part of Telenor Group, one of the world’s largest mobile operators. Telenor has a strong regional presence in Asia with close to 180 of their 196 million mobile subscriptions here.